Broken glasses? Red, tired eyes? Pamper those beauties with the Eye See U Pak. Just fill the dropper with your favorite eye drops and/or contact solution and soothe the soreness away. The cute and compact contact lens case is a perfect oasis for keeping those little jewels protected. 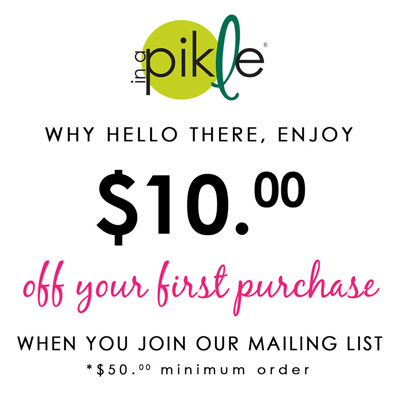 And there’s more….The Exclusive “In A Pikle” lens cleaning cloth will keep you seeing clear as it quickly remove those smears and smudges.